Make necklaces longer or shorter to suit style and taste. Glue rubber, leather imitation leather, satin or other cords into light tube cord ends. 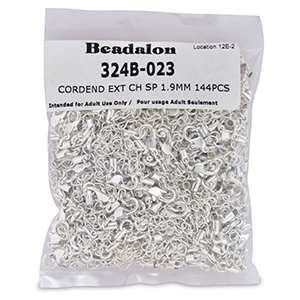 Made of brass, will lengthen necklaces up to 2" (5.08CM).Gold and Silver Plated, 2 and 144 pc packs.